My parents grew Jerusalem Artichokes for as long as I can remember. They were a reliable staple, when the winter stores were a bit low. Dig a few of these out of the ground, give them a good scrub, roast them for around 20 minutes, split them and then pop some salt and butter in their soft luscious centre! Devine! 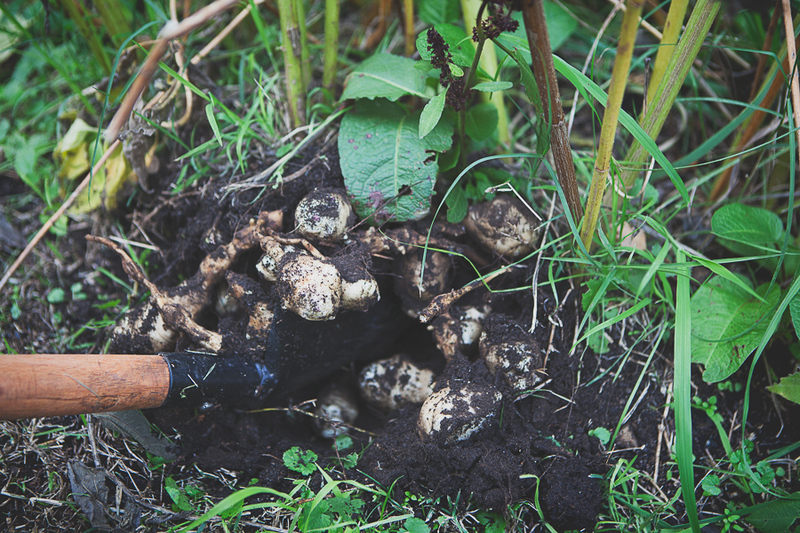 Jerusalem artichokes are part of the sunflower family, hence their beautiful long green stems and bright little yellow flowers in summer! But it is what is under the ground that really interests me. Their tubers look like a cross between ginger root and kipfler potatoes. They happily grow in the corner of your garden and are tough! Nothing really gets to these guys! Growing them sure beats paying $15 a kilo for them (which I have seen them for sale for!). They would be good to grow in a wine barrel, or a large pot as they do have a tendency to take over! I love them in soup or just roasted plain! I have even made a sensational icecream out of them – this is truly delicious! I eat the skin when I roast them as well – get all the nutrients! They do have a reputation to erm... make you a bit farty... (I call them fartichokes), but this is lessened when you dig them up when the tops have completely died down! Does something to the tubers apparently, which makes them less... farty. Did I mention they are high in iron too?? Scrub your artichokes well! Toss them with a little olive oil and place into an oven tray. Roast for about 20 minutes at 180 degrees celcius, until soft in the centre. Serve with butter and salt – enjoy! PS – If you are making soup with them – it’s best to peel them, and slice them thinly, then cook them in full cream milk (the liquid is just covering the artichokes – we want a nice thick soup). Blend well and season to taste! Serve with freshly grated nutmeg... delish! This is my favourite soup in the whole world!